Munala was brimming with excitement as her plane touched down in Lagos, she had heard about the most populous African country and she could not wait to see the sights, it would be very different from her small Kenyan village she was sure. 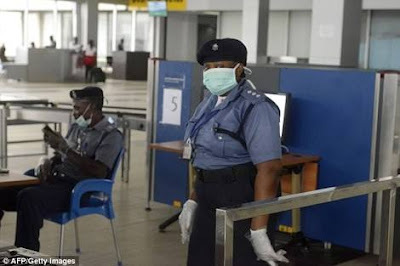 Her excitement seemed to douse when she observed the countenance of the immigration officer who held her passport in his hand, he wore a frown and excused himself to confer with a colleague and when he returned to his seat, he delivered the sad news. I am sorry madam but I cannot allow you into the country because your passport is invalid. 7 hours later, Munala was on a plane back to Kenya and as the plane taxied down the runway with the Lagos night lights slowly fading into the dark, she felt the tears run down her eyes. This has happened to several people visiting Nigeria and yes, immigration officers have the lawful authority to deny a person entry into Nigeria by virtue of the provisions of the Immigration Act, CAP 11, LFN 2004. Particularly, the Act spells out certain people whom will be denied entry into Nigeria or whom will be deported. This can be seen in Section 18 of the Immigration Act. e) Any person against whom an order of deportation from Nigeria is pending. h) any person who is or has been a brothel keeper; a householder permitting the defilement of a young girl in his premises; a person allowing a person under 13 years to be in a brothel; a person causing or encouraging the seduction or prostitution of a girl under 13; a person trading in prostitution and a procurer i.e. a person who procures young and underage girls for prostitution. While the law’s aim to prevent pedophiles from coming into Nigeria is commendable, I wonder how the immigration officer will be able to identify these persons especially as the criminal records of the applicant is usually not available to the immigration officer and such information is not provided for in an international passport.